A rather warm weekend, even at 6800′, made for a good equipment test rally. A few things got fixed, too. As always, good food, good fellowship, scenery that does something to you, and away from it all for a few hours with the Airstream. Hot Hots And Cool Cools Protect Picnics – Cross-Contamination, Bad Temperatures Can Aid Bacteria by Shiloh Woolman, Staff writer at Fox news describes a few things to keep in mind when you want to take the dinner outside. Temperatures? the 40/140 rule; avoid cross contamination; cook the meat properly; see the article for a number of things to keep in mind to make sure you minimize the risk of an unpleasant day after. 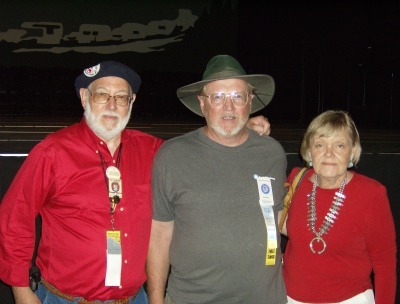 The July 2008 Newsletter has been posted. see the newsletter index. Links to photo galleries and additional information mentioned in articles in the newsletter can be found there too. 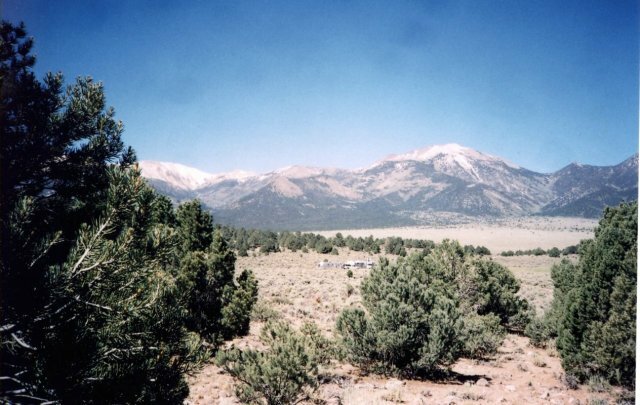 >> Thursday July 17 to Sunday July 20, 2008 the SNU will hold it’s rally at Sweetwater Summit, a National Forest Service dispersed camping area between Yerrington and Bridgeport. The area is located on highway 338 in Nevada, which comes out of Bridgeport as California highway 182. If you are heading north on Nevada 338, at the Sweetwater Summit there is a large parking area to the right with a weather gathering station at the south end. There are no facilities. This is a take it in, take it out rally. The download squad took note of some web sites that help you figure your fuel costs on a trip. See Simple but powerful Drivepricing helps calculate gas costs . With gas prices so high its nice to be able to know how much to put in the piggy bank to save up for the trips you have coming up this summer. The references are to Drivepricing and FuelEconomy.gov. The comments include other links. These sites would be more valuable if they not only used your fuel use rate on trips but also your fuel tank capacity. Then they could figure optimum fuel stops and calculate costs based on current local pricing. That may be in someone’s thinking for the future. Randy took a scouting trip to Medicine Lake and the NFS campgrounds there. This is a place you don’t get to unless you are going there. To get there, head up CA 89 to Bartle halfway between Mt Shasta and Burney Falls. 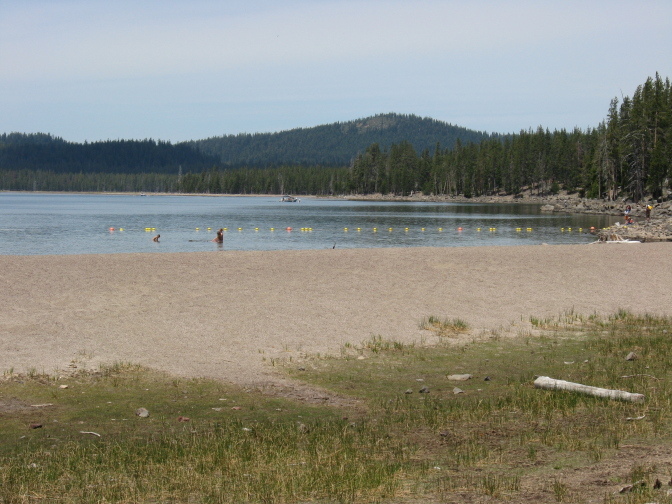 Head north on NFS 49 and Medicine Lake is about halfway to the Lava Beds National Monument. 5 Tips for Avoiding Mosquito Bites—and West Nile Virus is timely. This appears to be a good year for mosquitoes and you can take action to reduce the damage. The five tips include advice about repellents, clothing, screening, and the elimination of breeding sites. Near dawn and dusk is when the risk is highest. Let’s see, that’s the morning wake up with coffee when all is quiet (see Washington Times for Noise) or it is the evening social hour after the pot luck dinner. Take care. Don’t get bit. That’s PeeWee (see his history collection at Dale (Pee Wee) Schwamborn -Wally Byam, Helen Byam Schwamborn) with Jerry surrounded by Schwamborns. Here he is with the SNU flag. Warren Meyer, a small business owner in Phoenix, Arizona took a look at the Economic Impact of Gas Prices. 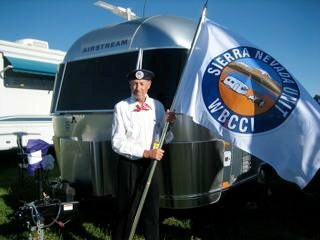 There has been much discussion about the recent bump in the cost of energy, especially for the fuel we put in our RV’s. Some are limiting their excursions to avoid the pain at the pump. The Coyote Blog post took a time out to consider the big picture. How has the fuel cost changed over time as a part of our per-capita disposable income? What prompted the Coyote Blog post was Economist Mark Perry, at his blog Carpe Diem. For gas to reach a record high as a percent of per-capita disposable income, it would have to sell today for about $5.50 per gallon to reach 14.90% of per-capita disposable income, like it did in March of 1981, when gas sold for $1.42 per gallon, and per-capita disposable income was only $9,500. It looks like the cost of gas ran about 6% of disposable income from 1985 until recently. Starting about 2003 it has increased from there to near 10%. Meyer realized that the price of fuel was only a part of the picture. He factored in the average MPG rating for passenger vehicles to determine the fuel cost for a typical 15,000 miles per year. That graph accounts for the improvements in efficiency and starts its rise from about 3% in 1998 to a current 7%. You might think that RV fuel efficiency hasn’t changed as much as it has for passenger cars but consider: A typical Suburban tow vehicle used in the late 70’s through the 80’s got about 8 miles per gallon. A modern diesel with the same trailer can get up to 14 and the big block gasoline tow vehicles will get 10 to 12 mpg. That’s an efficiency improvement of 20% or more in fuel efficiency. So Meyer’s adjustment makes sense for RV’s, too. The pain at the pump has put some people in a panic. There is talk of re-doing the seventies with price controls and the double nickel speed limit. They didn’t work then and took a long time to get settled. It may be why there is a sharp drop to a fairly steady level starting about 1985 in the graphs. A proper perspective and learning from what has been done before will help to avoid repeating the same mistakes. It will take some time to settle things out. There are many experts trying to figure out why dropping demand has not had an impact on prices. There is also some wondering about why the pipeline isn’t getting clogged as supply keeps up and demand drops. There is also quite a bit of ‘blame game’ going on looking for scapegoats and conspiracies. The increased pain at the pump has dampened demand. It is also stimulated a re-examination of ideas about energy and where we get it and how we manage it. That should lead to good things. But, for now, perhaps the best bet is to put more emphasis on enjoying the places you visit rather than the journey and travel for its own sake. If history is any guide, this will work itself in due course. All you have to do is to be patient and avoid succumbing to the fear mongering that is being peddled in the news.